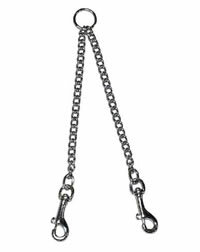 Chrome couplets allow owners to walk 2 dogs on one lead or used while grooming your small or medium size dog. 1.6mm x 20" length. Heavy-duty hardware.